My goal for the summer was to figure out a good burger recipe and I’m happy to report that I did it. In the past, we seasoned our burgers with onion soup mix, but they didn’t compare to the pre-seasoned burgers sold at the grocery store. I figured there had to be a cheaper and healthier way to make them at home and got to work. 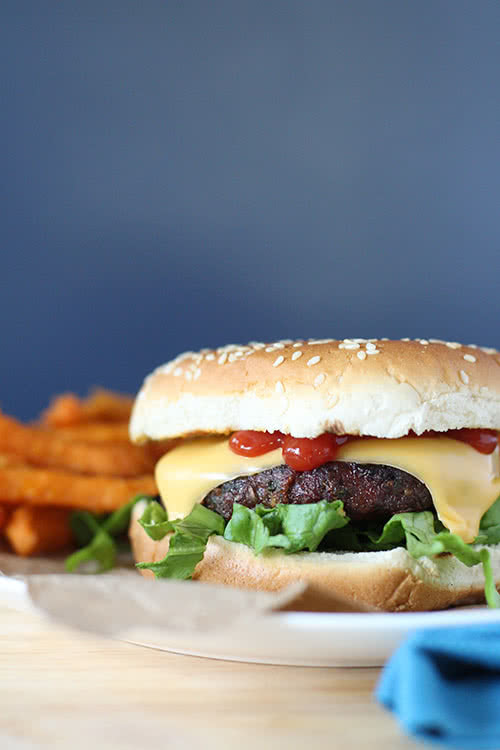 I started by researching other burger recipes on Pinterest and found that the best burgers are made with fatty meat (ground chuck is best but 80/20 will work too). I also learned that most people season their burgers will simple dashes of salt and pepper (we tried it and it wasn’t flavorful at all). I tried making a fresh jalapeño and bacon burger (fail) and then decided flavoring with my favorite homemade spice mixes was the way to go. The main thing I learned is that you need A LOT of seasoning to flavor a burger. Forget about a dash of salt and pepper and pour it all in! It seems like 1 1/2 pounds of ground beef needs 1.5-2 seasoning packets (store-bought or homemade). I also learned that burgers shrink a lot while cooking. When I first looked at raw ground beef I thought I could make 5-6 burgers per pound, but they were so small after cooking. Quarter-pounders are the best size (4 burgers per pound of meat). 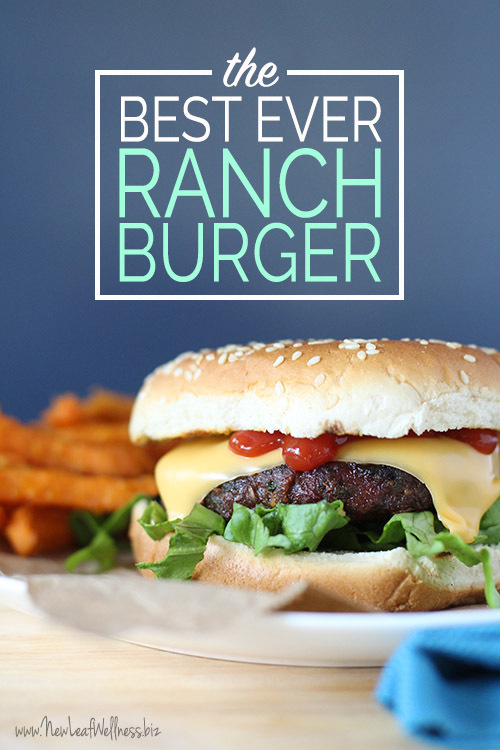 The garlic, onion, and dill flavors really come through to make the burgers super flavorful and delicious (even my husband loves them and he’s not a big fan of ranch dressing). They are so easy to make. All you need is ground meat and seven simple seasonings. I can freeze a bunch of burgers when ground beef is on sale and save a lot of money. I know you’re going to love this recipe. Enjoy, friends! In a large bowl, combine all ingredients and form into six burgers. Place burgers on the grill for 3 minutes, flip, and then grill for 5-7 more minutes until desired doneness. 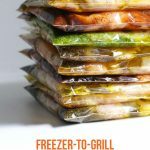 Label a gallon-sized plastic freezer bag with the name of the recipe, cooking instructions, and use-by date (which should be 3 months from the prep date). Place on a cookie sheet lined with waxed paper and freeze for 30-60 minutes. 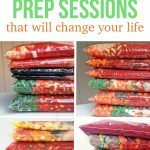 Add to freezer bag and freeze for up to three months. 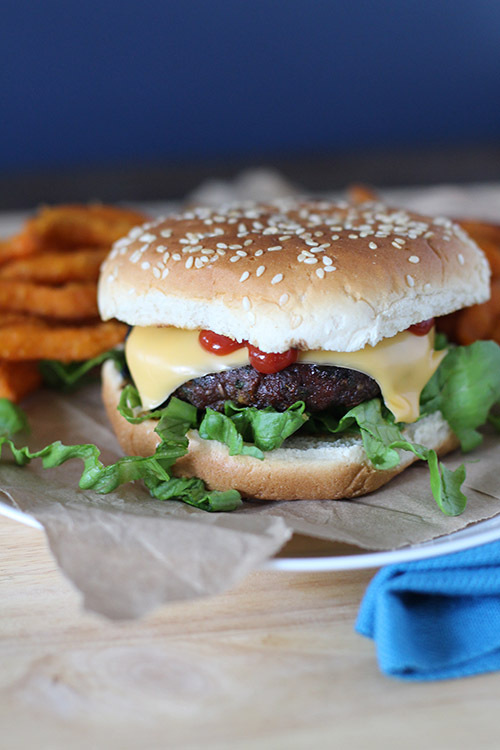 Serve with your favorite burger toppings and baked sweet potato fries. YUM. Hi Kelly! 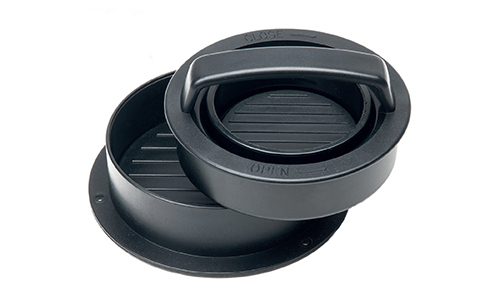 I am a proud owner of a few of your cookbooks and just bought the burger press through your link! I can’t wait to try these but I wish I could “pin” the recipe until next week? Can’t seem to make that work… Thanks! Thanks, Heather! I think you’ll have to copy the link to the recipe and post it on Pinterest. You can also go to my Pinterest account (@kellymcnelis) and re-pin it there. I think you’ll LOVE the recipe and press. Thanks for all your support! I didn’t see any Ranch dressing in the recipe. Did you forget to put that down or are the ingredients listed your recipe for Ranch dressing mix? Yep, it’s my dry ranch mix. 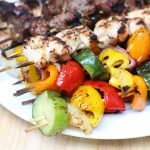 Do you think this will work with ground turkey or is it too lean? It will not be as good as the ground chuck, but I’m sure it will be flavorful.